Increases sperm count in males. Aids in ovulation in female. Useful as a hormone balancer for both sexes. Beneficial for exhausted state of the body. Increases sexual prowess. Mild aphrodisiac. Digestive aid. Useful in removal of mucus congestion. Contains testosterone precursors and like action. Has tonic action on central nervous system. Key Uses: bronchitis, emphysema, hormone balancer, hot flashes, menopause, Parkinson's disease, sexual stimulant. Enhances flow of bile. High choline content. Diuretic, especially water retention due to heart problems. Possible anti-tumor agent. Hypoglycemic. High inulin content. Useful in PMS. Used to treat jaundice, hepatitis, and gallbladder disease. Strengthens week arteries. Aids in removal of toxins from body. Useful in muscular rheumatism. Helps clear obstructions in the biliary ducts. Useful for the liver, gallbladder, kidneys, pancreas, spleen and circulatory system. 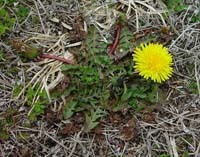 Do not eat dandelions from lawns that have been treated with pesticides. 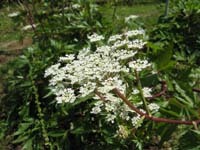 Key Uses: liver tonic, gallbladder aid, diuretic, blood cleanser, weight loss aid. Helps dissolve blood clots and remove morbid matter from body. Increases circulation especially to the pelvic area. Used to treat female gynecological ailments. Anti-spasmodic. 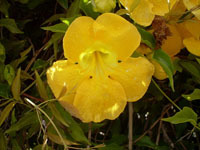 Used to treat PMS, menopause, and menstrual irregularities. Should not be used during pregnancy nor menses. Helps relieve pelvic congestion. Key Uses: anemia, internal bleeding, stroke, blood purifier, brain nourisher, female glands, hot flashes, menopause, menstruation, nervousness. Useful for women who do not have enough energy. CAUTION: Weak estrogenic activity. Do not use in cases of bleeding uterine fibroids or breast cancer. Do not use when menstruating as it thins the blood and brings blood to the pelvic region.